If you search most beautiful’ island or port in the Mediterranean, you will often see the names of Bonifacio and Lavezzi. And they are just 6 miles apart. This is one of the most beautiful areas of the Mediterranean Sea. The Bonifacio Strait is the windiest and ranks among the wildest places in the Mediterranean, thus surging to nearly mythological status among the real sailors who come year for racing super yachts and Swans in May and September. Lavezzi is a pristine National Park, a playful pastime of some ancient sea god who created a charming, Japanese-style rock garden with thousand of pink and grey boulders scattered artfully among crystal waters. The stones shelter three different coves and lagoons, offering a combined shelter from all quarters. The sand is very, very white and even the scant vegetation contributes to the general effect with pure Mediterranean scents. A random walk around the many paths of the island for sunset is a must, alone with the wind and the ancient tombs remembering the victims of the Semillante, aground here in 1855 . Bonifacio is a natural harbour and wins the ‘most charming Mediterranean port’ competition hands down. Must be approached from the Sea for best result. The White Cliffs would be reason enough for a detour, dwarfing their Dover counterparts. The citadel perched on top of the cliffs add to the charme and raise the place to a 2 star level. Add a mile deep natural harbour under the cliffs and… voilà, you have a 3 stars destination worth of a whole journey. A perfect day? Have an early morning walk around town, calling at the fishmonger for oysters and fish, to the bakery for baguette and to the wine shop for some bottles of chardonnay. Then sail out of Bonifacio to Lavezzi in the middle of winter, the frosty air rolling down the snowy peaks of Corse. You’ll have the place to yourself, and you will feel the owner of the sea. 62 between the islets and islands of granitic compose the Maddalena Archipelago , near the Costa Smeralda a real marine paradise characterized by an exceptionally transparent sea. The largest islands are 7: La Maddalena Caprera, Budelli, Santo Stefano, Santa Maria, Spargi and Razzoli. In the Maddalena archipelago we find some of the most famous beaches of Sardinia and of the Mediterranean, coves and inlets only by disarming beauty. The Emerald Coast is synonymous with beaches, fragrance of rock rose and Mediterranean bush. These elements are added to the history and culture of a region of ancient traditions and an effervescent nightlife. Cheerful, colorful and fashionable, this sophisticated area is a real paradise, chosen and frequented every summer from aristocracy personalities and jet-setters. The entire coast is surrounded by fascinating places to discover: Porto Cervo south meet beautiful beaches that lead to the Gulf of Pevero in Cala di Volpe through Punta Capriccioli, in front of which are the islands of Mortorio and Soffi, including in the Maddalena Park. 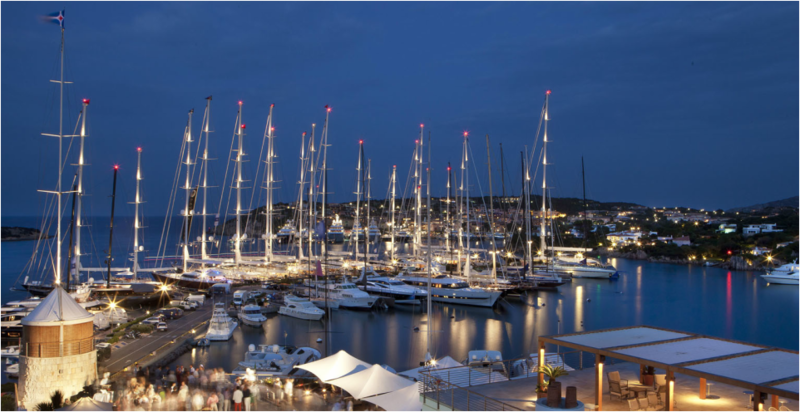 Another popular resort is Porto Rotondo which overlooks the Gulf of Cugnana, is populated by villas and squares with shops of all kinds, set by a magnificent nature.